Walker earning First Team All-County and All-Region honors after a monster season. He recorded 80 tackles, eight sacks, 13 tackles for a loss, five forced fumbles and three fumble recoveries, helping the Raiders qualify for the Class AAAAA state playoffs. 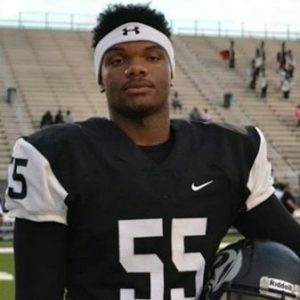 Walker was a 5-A classification leader for defensive lineman with 80 tackles the last two seasons and also collected near double digits sacks as well. The high tackle total is a testament to his hustle, we saw him running 30 yards down field making tackles. There is no doubt about it either, the 2019 athlete is one of the best looking defensive lineman for his class. He is very quick off the edge and we absolutely love the way he finishes his tackles. He has long arms, and uses his explosive first step to get immediate leverage on offensive lineman throwing them off-balance. He is a no-brainer Power 5 football player. He did making a statistical jump but on film he looks quicker than ever. Walker is one of the best SDE’s in Georgia. Walker’s weight has stabilized over the last two years, and if anything he has actually lost some weight from his junior year.